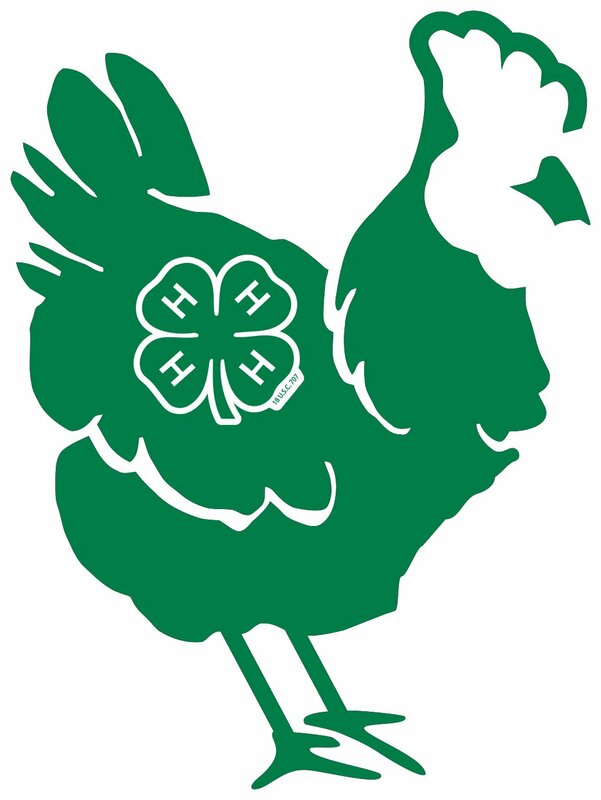 The Wilson County 4-H Chick Chain is a poultry science program designed to teach participants about poultry production, management, and record-keeping. We provide 4-H’ers (ages 5-18 years old) up to 5 female chicks in the spring that they have pre-selected, and they raise them for 15-18 weeks. In the fall, each participant must choose 1 of his/her chickens to bring back to the show and sale. Once a grand champion is selected, the chickens get auctioned off with proceeds coming back to benefit the 4-H’ers and the poultry program. Cloverbuds=5-7 years old (this age group will show and sell their bird, but will only receive a blue ribbon for participation per National regulations). Complete your online 4-H enrollment (if you are not a current active member). Log into 4HOnline and create an account. Return the Chick Chain registration packet by March 5, 2019. 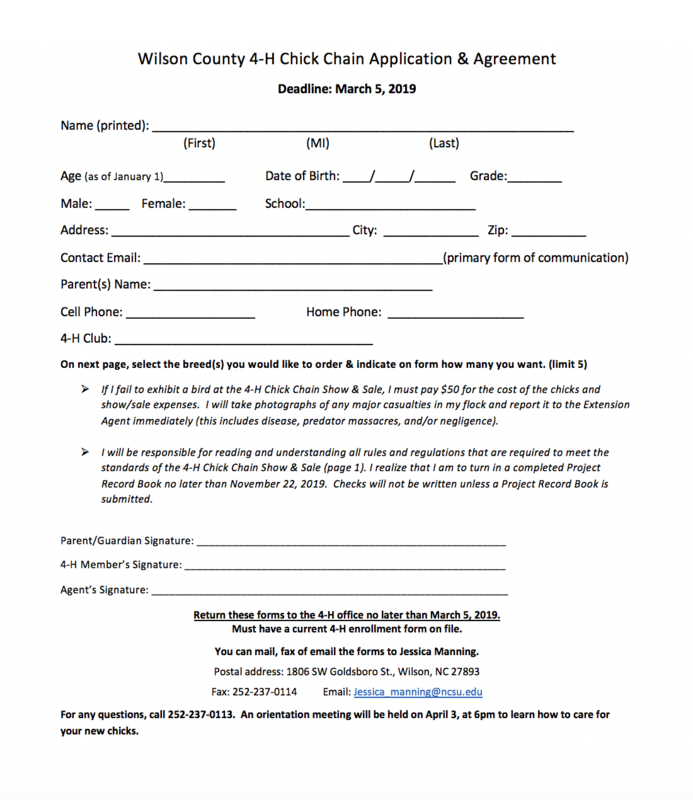 2019 Chick Chain Registration Packet. Attend the Orientation meeting on April 3, 2019. Set up your brooder box. Pick up chicks when they arrive – tentatively the week of April 8. Feed, water, care, and handle your chicks daily. Attend the pre-show workshop to learn how to prep and show your bird on October 9, 2019, at 6:30 p.m.
Bring your best bird to the Wilson County Fairgrounds on November 9, 2019, for check-in (9–10 a.m.). The show will start at 10:30 a.m. We will take a lunch break followed by the auction at 2 p.m. Complete your project record book and turn it in BY November 22.